This is a sponsored post. Salix Pharmaceuticals provided me with a stipend and paid for my travel and accommodations related to the event described below. All opinions are my own. “Painstipation,” or constipation caused by opioid pain medication in chronic pain patients, is an uncomfortable subject to consider, but it’s a really important topic to discuss, especially with your doctor. 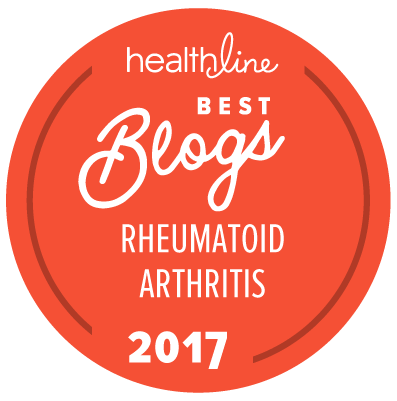 Those of us with rheumatoid arthritis (RA) (or other chronic pain conditions) sometimes take opioid medications to relieve RA’s painful, debilitating joint pain. But as beneficial as they may be, opioids may also cause opioid induced constipation (OIC). Opioid pain relievers bind to opioid receptors, which in turn decrease pain transmission. Which is, of course, wonderful. Taken with care and as prescribed, opioids can help us maintain our quality of life. But here’s the rub: opioids also affect the gut’s digestive and eliminatory processes, slowing or even stopping the normal movement of waste. The result? OIC, or “Painstipation.” Performing the usual activities that promote digestive health, like drinking more water, exercising, and eating plenty of whole grains and vegetables don’t always relieve this opioid-caused side effect. Even over-the-counter stool softeners or laxatives may not work. I’ve taken opioid pain meds off and on for close to 30 years, and when I suffered from OIC , it was the pits. Lots of people suffer with this side effect frequently. 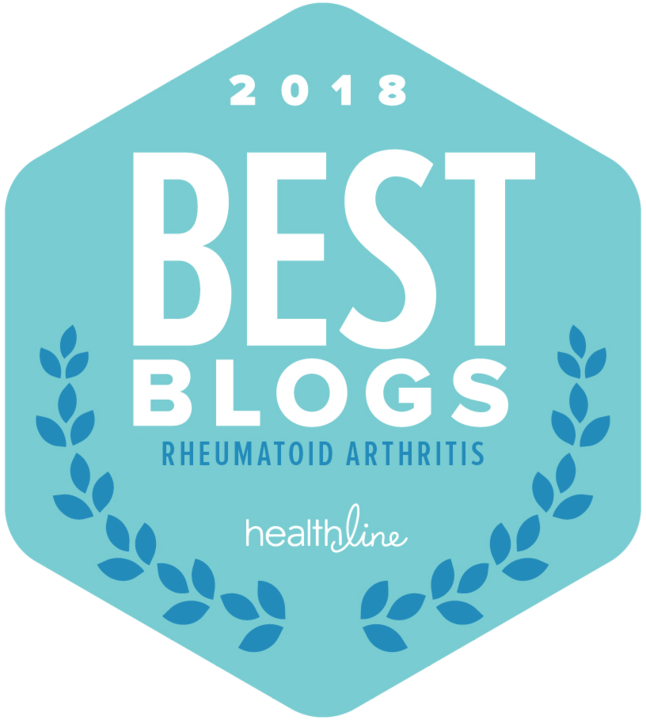 In some cases, they may not be aware that the pain meds they’re taking are causing their Painstipation or they may fear changing or reducing their opioid pain medication, so they don’t bring up the problem with their prescribing physician. Because, hey—it’s just constipation, right? Happens to everyone! Eat more fiber! It’s embarrassing! 77% of these patients reported suffering from OIC for at least one year and 43% of these patients reported suffering with OIC for more than three years. 37% of these patients reported changing the dosage of their opioid medication to try to alleviate the pain or discomfort of their OIC. These patients reported waiting an average of 18 hours to have a bowel movement after taking constipation medication. 53% of these patients said they would have preferred for their OIC medication to induce a bowel movement in less than four hours. 47%—almost half—of these patients reported taking between 6 to 10 total prescription medications on a regular basis and 20% percent took more than 10 prescription medications on a regular basis. Dr. Joseph Pergolizzi, senior partner and director of research of Naples Anesthesia and Pain Associates, spoke about OIC at the Salix event. He stressed the importance of discussing OIC with your doctor. “Some chronic pain patients may not mention opioid induced constipation with their practitioner, so we need to have a ‘do ask, do tell’ policy. It’s important to realize that it starts with conversation,” he said. The Salix event was interesting—and not just because of what I learned about OIC and this drug. I also got to meet a few terrific fellow chronic illness/chronic pain ggers:  Charis of BeingCharis, Brittney of The Nerdy Nurse, and (for the second time!) Jenni of ChronicBabe. The four of us spent several hours together, playing with acrylic paints under the genial supervision and tutelage of renowned artist and teacher Michael Jacques, whose artwork is on display in the Renwick Gallery in the Smithsonian American Art Museum. Jacques asked each of us to pick out one of the survey findings about OIC in chronic pain patients—one that “spoke” to us particularly. Mine was this: “47% of the patients surveyed reported taking between 6 to 10 total prescription medications on a regular basis.” The finding resonated with me because while I don’t usually have OIC after taking opioids, I do take that many medications, and I have for years. using an abstract style. Since none of us had any experience with abstract painting, the ensuing session involved lots of colorful, messy paint, lots of conversation, and lots and lots of laughter. He’s a fabulous teacher. I learned more about the art of abstract painting during that one session than I have in a lifetime of creating visual art. The result was, well, colorfully abstract, and each of us painted something unique. It was fun, and we presented our paintings to a small audience of healthcare practitioners following Dr. Pergolizzi’s OIC/RELISTOR® presentation that evening. You are encouraged to report side effects of prescription drugs to FDA. Visit www.fda.gov/MedWatch/ or call 1-800-FDA-1088. Please click here for full Prescribing Information for RELISTOR tablets and RELISTOR injection. I use a slightly different but very similar prescription for the same issue only different. Since i have nuropathy of the intestines making motility most difficult. I am glad you found a great alternative. Here is to increased motility. Personally I think I will stay with my current regiman. Clear lax twice per day, 100mg if wanna s and 250 mg of dulcolax no risk of the serious side effects and the same cost.